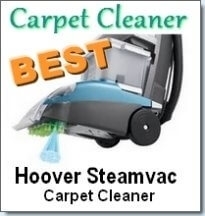 The Hoover Steam vac deep cleaner is just one of many models in the line of Hoover that’s available. This article covers Hoover Steam vac technologies like Clean Surge, Dual V, Widepath, All Terrain and Auto Rinse. Hoover has always been a trusted and well loved brand not just in the United States, but throughout the world. 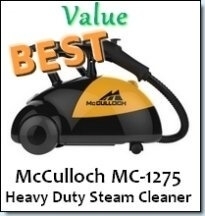 The SteamVac line of cleaners is a specialty line and there are quite a few models. Almost each of the Hoover Steam Vac Deep Cleaner models uses a different technology, so we shall have a look at each in detail. The first technology we shall look at is Clean Surge. What is Clean Surge? 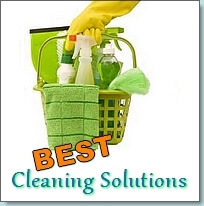 It is a feature which helps you to remove stains or hard to clean spots when vacuuming. It is a button activated feature when pressed delivers an extra strength spray of cleaning solution into the carpet. This helps you to give a little “extra” when removing embedded stains and soils. However, the problem with this is that after you’ve just injected extra solution into the carpet, how do you get the “extra” solution out? Don’t worry, the Clean Surge technology allows you to make extra passes on the area with additional hot air being ejected into the spot. This allows it to dry faster and at the same rate as the rest of the carpet. The next technology we will discuss is Dual V.
The Dual V system consists of patented SpinScrub brushes that work together to scrub your carpet to loosen embedded dirt. The Nozzle technology allows suction across the entire length of the nozzle and since this feature is usually doubled with Widepath, you get even more suction per square inch. Having the Widepath feature allows you to get 20% more brushing ability and action on your carpets. The third feature common to some Hoover SteamVacs is called All Terrain. This feature tells you that the vacuum is meant for … you guessed it, all types of terrain. You can use it on both carpet and hard floors. 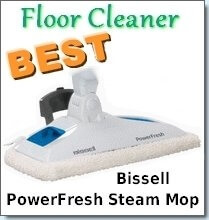 It cleans by using patented brushes, cleaning solution, water, suction and in some cases heat. The All terrain feature is great if you want an all purpose vacuum. It can clean spills from both your hardwood and carpeted floor. This feature is usually coupled with Auto rinse. Auto Rinse, does exactly what it sounds like. It rinses both your carpets and hard floors which ensure that very little if any residue remains.